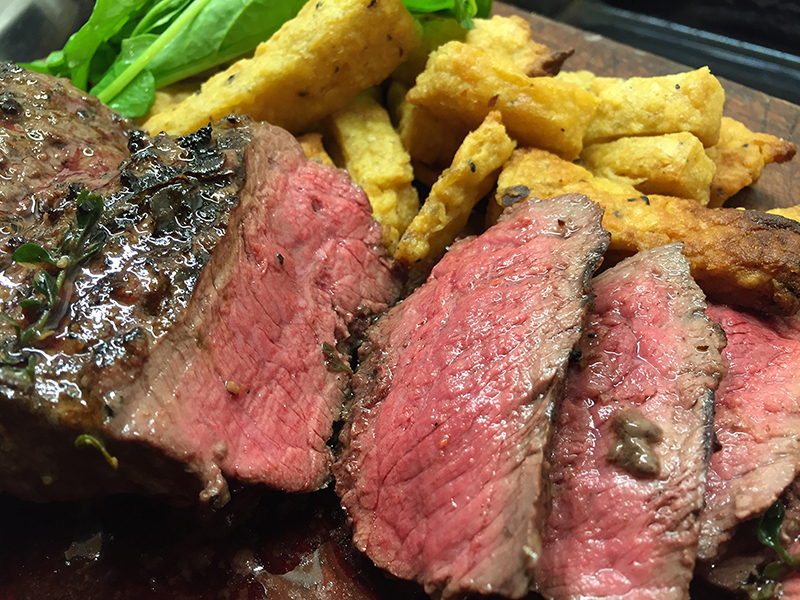 Chuck, normally sold as braising steak, is the group of muscles around the shoulder, to the fore of the loin. The anatomy is fairly complicated as that’s also where the front leg joins the party, with different muscles pulling in different directions – all of them fairly hard working. Really, the British way of cutting a slice through the whole thing is a travesty because every mouthful will be different, and the continental idea of seaming out the individual muscles feels like a better approach. Most butchers do it already (to some extent) with the feather or blade steak and ‘poor man’s fillet’ from above the blade bone and few wouldn’t admit, over a quiet pint in the Butchers Arms, not to have cut a couple of ‘cheeky’ ribeye steaks from the rear end of the chuck. Other British options include rolling into a middle rib joint (we trim ours so it’s a more manageable size) or, as one well known farm shop just south of Exeter does, just cutting a massive slice, through blade and back bone, on a band saw) and calling it, rather hopefully, top rib. So what do you do with it? Making it into an extremely good burger is a good option at this time of year. 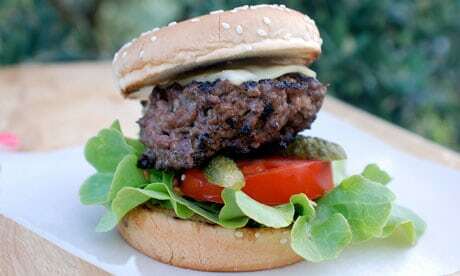 As the oft quoted (by me anyway) Felicity Cloake says; it has just the right amount of fat for a truly juicy burger and it’s not short of flavour either. During my days writing the Riverford Meat Box newsletter, I was chastised for being so irresponsible as to recommend cooking burgers rare. How was I to know that Riverford had a vexatious Environmental Health Officer among their customers? Current FSA guidelines recommend cooking bought mince to 72°C (that’s well done to the extent of going a bit rubbery in the case of a burger), so the answer is to make your own mince. By cutting into a small dice and chilling right down you can pulse to the perfect texture in a food processor. An ice cube or two will keep the meet even cooler and prevent any chance of the proteins in the meat turning it rubbery. 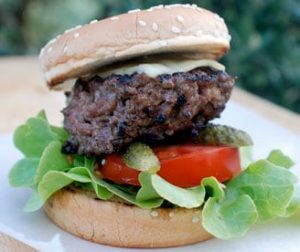 I’m a great believer in keeping burgers simple so, apart from salt and pepper, my only addition would be a little finely diced, lightly sautéed onion. 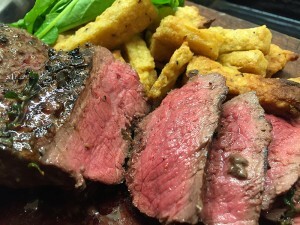 Poor Man’s Tagliata works even better with a seamed out muscle of chuck or shoulder than it does with topside. 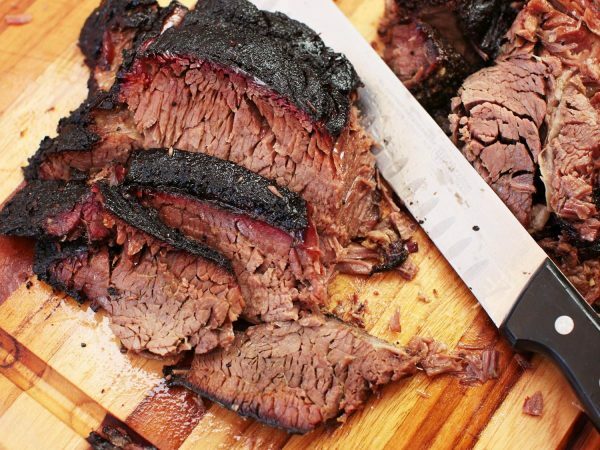 The idea of bashing the beef comes from American BBQ supremo Adam Perry-Lang. He started off with rib of beef, which feels like a bit of a waste, but there’s no denying that careful bashing will open out the texture of the meat and allow it to cook through much quicker – which is what you want on a barbecue grill. Slicing the charred but pink in the middle steak on the bias, and dressing with rocket, parmesan and olive oil brings a bit of theatre to the table that, unless you go down the steak Diane route, will otherwise be missed. Feather or blade steak comes from above the shoulder blade so isn’t technically part of the chuck. We’re including it anyway. It’s much sought after by those in the know. Years ago, Rick Stein was filming at local Well Hung Meat for his second Food Heroes series. He wanted to cook a bit of blade but Well Hung didn’t have any so they had to pop along to our Yealmpton shop to buy one. We were very much the unsung food heroes. They only weigh about 1.2kgs so they don’t last long. Jamie Oliver is another fan and it’s certainly good value and extremely tasty. Unfortunately it has a seam of connective tissue/gristle running right down the middle so you have three choices; all good. Firstly cut into steaks, cook quickly and serve immediately. Any hanging about, either during or after cooking, will result in the meat toughening up. Either slice the steaks in half, removing the gristle, before serving or leave it on the side of the plate. Secondly, cook, either whole or as a piece, long and slow, as with shin, to allow the gristle to break down. That might not seem that appropriate at this time of year but there is a third way: Flat iron steaks are cut with, rather than across the grain. They can be cut thin (hence the flat iron) or thicker and in half (or thirds) again. Diamond pattern scoring will give plenty of deliciously crusty pieces for the chef. Denver Steak are cut from the long, flat muscle just below the blade bone. Judging from the name, it looks as though we have to look both ways for butchery tips. The French give us onglet and bavette steaks while the Americans contribute Denver, flat iron and a whole host more (Jersey Short Rib for example). Properly trimmed, they have excellent marbling and a fantastic open texture, so cook quickly. Like all cuts from chuck, they have plenty of flavour and because the muscle is protected by the blade bone, it doesn’t have to work that hard, so eating quality is pretty much guaranteed. Flavoured butters are a good weapon to have in the tool box. You can make them in advance, roll into a sausage shape and keep in the fridge for ages. Rick Stein went for anchovy butter, but the choice is yours. Various combinations of garlic, mustard, chilli, herbs and citrus zest all work well so it’s really down to you to come up with your perfect version. Preheat a ridged chargrill or barbeque over a moderately high heat. Season the steaks with pepper (the anchovies are salty enough) and grill for 3-4 minutes on each side or until cooked to your liking. Place on a plate and loosely cover with foil. Allow to rest for 5 minutes. Meanwhile, mix the softened butter, thyme, lemon and anchovies with a fork until smooth and combined. Slice the steaks thinly and top with the butter. Serve with oven sweet potato chips, rocket salad and lemon wedges. If butter isn’t for you, Argentinean chimichurri sauce is another option – simply blitz ½ a bunch of flat-leaf parsley, 2 tbsps finely chopped oregano leaves, a finely chopped red chilli, ½ clove of finely chopped garlic, 1tsp smoked paprika, 3tbsp olive oil and 1 tbsp red wine vinegar.